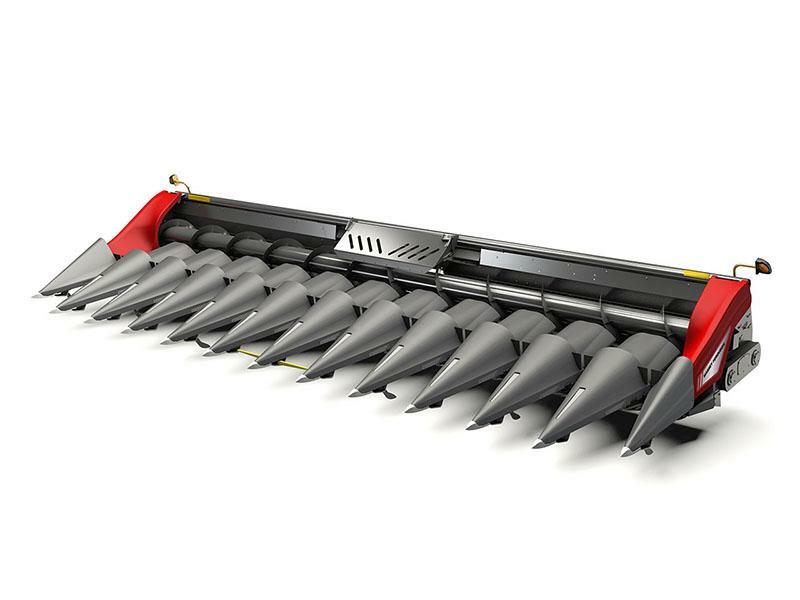 The Command™ series corn head is a totally new AGCO®-designed and built header that delivers increased capacity, faster harvesting rates and exceptional performance in downed corn with reduced header loss relative to both cobs and overall corn loss at the header itself. Take command of your harvest with the new 3300 Command series corn heads from Massey Ferguson®. IMPROVED RESULTS, REDUCED LOSS. 3300 CORN HEADS: High performance features will improve results during harvest and our smart design reduces header loss ultimately leading to an increase in profits. MORE OPPORTUNITIES. 3300 CORN HEADS: New standard capabilities give your operation new harvesting opportunities. 20 INCH AUGER: The large 20 inch diameter auger reaches over the gatherer and row unit for maximum capacity and efficient feeding in any condition.